Build-in TDS meter to know the water quality and membrane's effectiveness from its LCD. You can know when should replace the cartridges filters. This system build-in TDS meter to know the water quality. An easy way to tell if the membrane needs to be replaced. It is very easy to know the membrane's effectiveness from the LCD display. To protect you not to drink the bad water. TDS reading control box !! 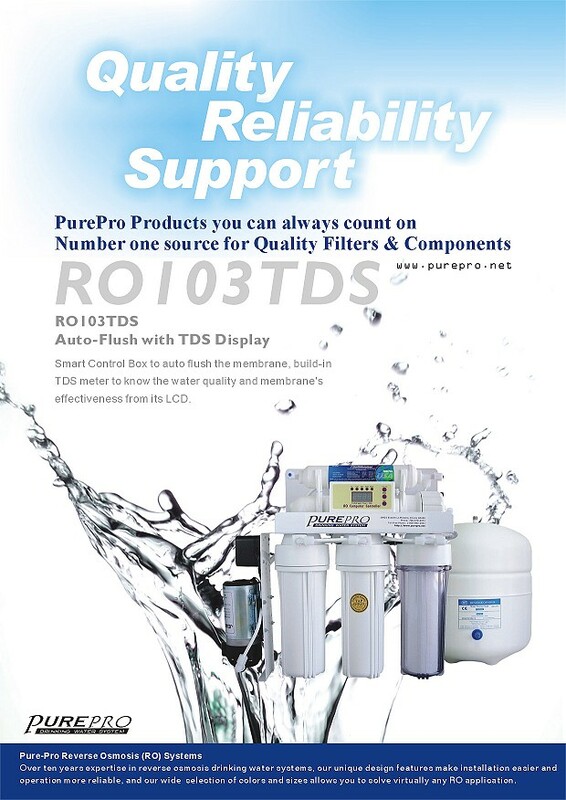 Showing your water quality - To show the TDS and the system's working time were usually been installed in the industry RO units only, we are the first manufacturer to install it in the residential RO units. Click here to know more.. TDS showing box. Built-in the auto flushing and self-cleaning procedure, so the membrane remains clean. Water never stands still for a longer time to avoid bacteria growing. Your customers can enjoy the best quality water. Trusted Quality in Every Components !! RO103TDS are designed for durability and purity. We are one of the few manufacturers who still insist on using only FDA/NSF certified components to guarantee you the quality of water and the taste of water. Our filter-housings are using the new technologies (double o'ring) to prevent any water leaking you got before. Our faucet is the most beautiful faucet in the RO market. RO Systems provide the best quality drinking water for your family.